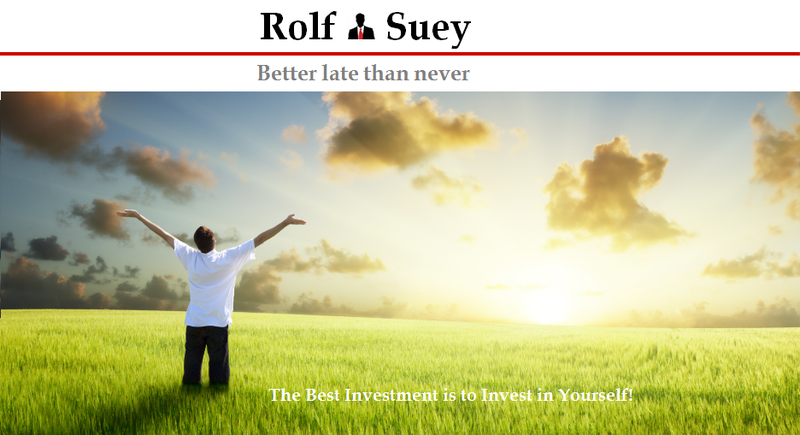 Rolf Suey - Better Late Than Never: Which Directions Will Oil Price Head? What Should I Do Now? Which Directions Will Oil Price Head? What Should I Do Now? Read an article earlier. I extracted some interesting points as below, which I tend to agree. “Oil is inherently cyclical business. The point is remarkably simple but amazing how often it gets forgotten by forecasters and investors. In 150 years, since modern drilling of Edwin Drake’s well in 1859, real prices doubled in space of 3 years no fewer than six separate occasions, and halved on four. If 2015 oil price remained at $50, it will be fifth time. 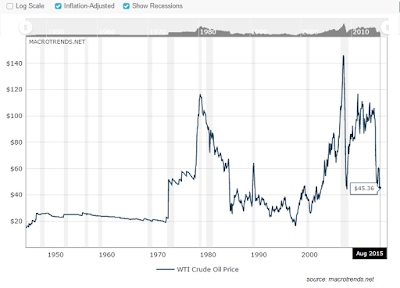 Only 1931 to 1969 oil price is relatively stable. The rest of time is very volatile and unpredictable. Any attempt to predict oil prices medium term (2-5 years) and long term (>5 years) based on current prices or recent changes is bound to fail. When prices are high and have been rising, most forecasts predict they will rise even further on increasing scarcity. Whey prices are low and have been falling, most forecasts predict a further slide on continued over-supply. In 2008, and again in 2011/12, as prices were peaking at more than US$140 and US$120 per barrel respectively, most forecasters were predicting prices would remain high for a long time or even forever. Not one major forecaster saw prices sinking back to less than US$60 per barrel but on both occasions it happened in less than three years. Now prices have fallen, it seems no major forecaster is predicting they will rise sharply again within the foreseeable future. But the current bearishness about the medium-term outlook is no more likely to be accurate than the former bullishness was between 2008 and 2011. 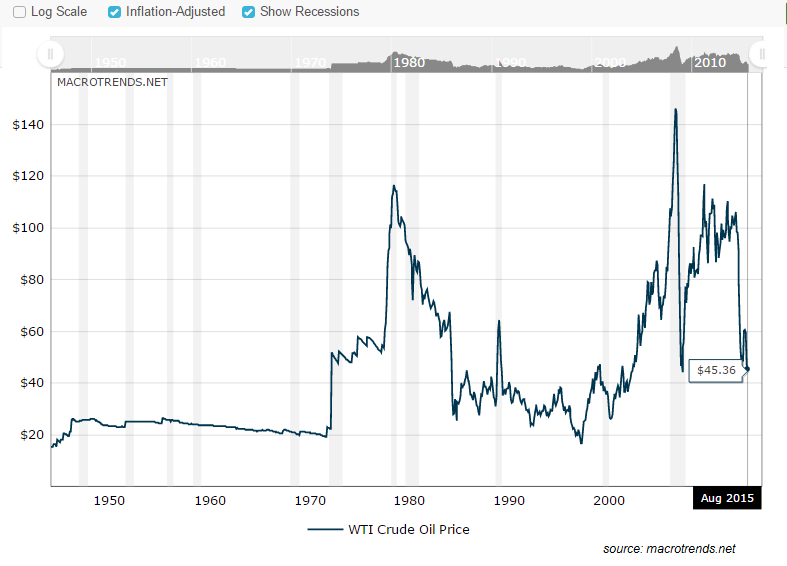 SO STOP FORECASTING OIL PRICE – YOU CAN’T! Nobody knows where oil price is heading. Not the expert, not you, and definitely not me! So stop pretending or acting like an expert to forecast the direction of oil price, merely because you have read articles on Oil and Gas demand and supply, read about OPEC, Saudi, Iran, Russia or Shale Gas, Tesla electric cars, alternative, bla bla bla…. If I were you, I will focus on what we should do now, rather than being overly concerned about which direction the oil price will swing to. I am doubtful that in my entire lifetime, I will see alternative energy replacing oil as the main source of energy. Solar energy despite many decades of discussion to replace oil, still remains highly cost ineffective, albeit I confess that technology had been improving slowly over the years. Correct me if I am wrong, perhaps if you have small capital and start a business entirely based on solar energy supply twenty years ago, you will probably already have gone bankrupt long ago. Wind, water, even shale are all having pretty much the same reasoning etc. Just look at the shale gas producers a year or two back compared to now. Having said that, this does not mean that we should ignore the alternative energy source developments. We should focus on the “Alternative Energy” KNOW-HOW and the BUSINESS in itself. Due to the technology advancement going into the future, if you think alternative energy business is going to grow, then it will really pay to investigate and invest in it. But be pragmatic enough to invest in company whose core is not solely on alternative energy. Otherwise they must be a company with financial muscles strong enough to perform R&D, technology improvements etc sustained over a period of time. Normally only state-owned company possess these attributes. Tesla, SpaceX are just few exceptional cases and not every company will have a person of the character of Elon Musk! For example, it can be electric cars, LNG, wind, which all are looking to have great potential moving forward. Be it for your investments, or for your own or your children’s career, you can start your research into these alternative energy sources now, if it interests you. I still believe over long term, it is your passion over the interest of mere earning money. Reading up and knowing more now is better than using our brawn brain cells to forecast future base on history or charts. If You Own O&G Stocks, What You Should Do Now? If the massive declines in your O&G stock prices have been giving you headache and lose sleep every night, then for the sake of your health, you better sell those stocks early. You may also want to sell these stocks if you are willing to cut losses, and reinvest your capital into other stocks that may provide better future returns. Do be warned if you own O&G companies that are highly leveraged with poor management, fundamentals, and worst of all insufficient order backlog and intake. Otherwise if not for above reasons, maybe you should just be senile about which O&G stocks you owned. Practice inner peace and have a good night's rest each day. Personally I will prefer not to add anymore O&G shares for now, due to the uncertainty. If you work in the O&G industry like me that suffers from the current catastrophic situation, stop fretting! Focus on the things you can do, such as learning things you do not already know about your own company or job. Learn more about the business as a whole rather than just your small segment of job. Over time, you will become more matured, and it will not only help in your career decisions, but also decisions in investments and in life too. Spend time in establishing relationships. It can be with clients, colleagues, suppliers or other business associates. Unless you are next in the retrench list, take this down period also as an opportunity to take a break to spend more time with your family and for yourself. Oil & Gas Crisis – Time to Take On More Work Even with No Pay Raise! Why Singaporeans should know more about LNG? I fully agreed that we should continue to live our best in the present moment. 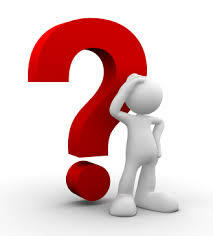 If we are so concerned predicting the future, which is an unknown, we are wasting our life. Kudos to your discipline. Basic is good enough because it is not easy for people with non-technical background to delve into the technical of O&G. *Claps Claps*. I wish you and family a joyous SG50! This is my maiden comment. I have the same feeling about those predicting the bankruptcy of O and G companies. I agree that they may have hardship for a prolong period of time but like u I am surprise that people are talking about alternative energy killing oil when hey Saudi can produce oul at 20 per barrel. Maybe my view is tainted because I vested in sembcorp LOL. Thanks for the maiden comment. No doubt about predicament that O&G companies have to face. To taint your view more, below are more extracts from the article. In 1985, OPEC had ard 10mil bpd spare capacity, which took a decade to reduce to normal level. Today, OPEC has less than 2mil bpd spare capacity, acc. to IEA est. Bet 80s and 90s, sprung North Sea and other areas producers which in some sense resemble the shale gas producers. But shale production is so expensive compare to conventional oil fields developed in North Sea and other areas.